I’m just doin what I love .. I guess this is how things go when God’s Hand has touched your situation .. I never expected to be a life changer lol .. but I actually am .. I inspire so many women .. I never knew I would be such a huge influence and inspiration to so many women! I never knew I would be a person who builds a persons confidence in themselves .. its kinda cray lol .. I mean women have literally called me a blessing and cried! lots of hugs and love I receive all the time! I love what I DO!! Women who dont wear makeup start because of me .. 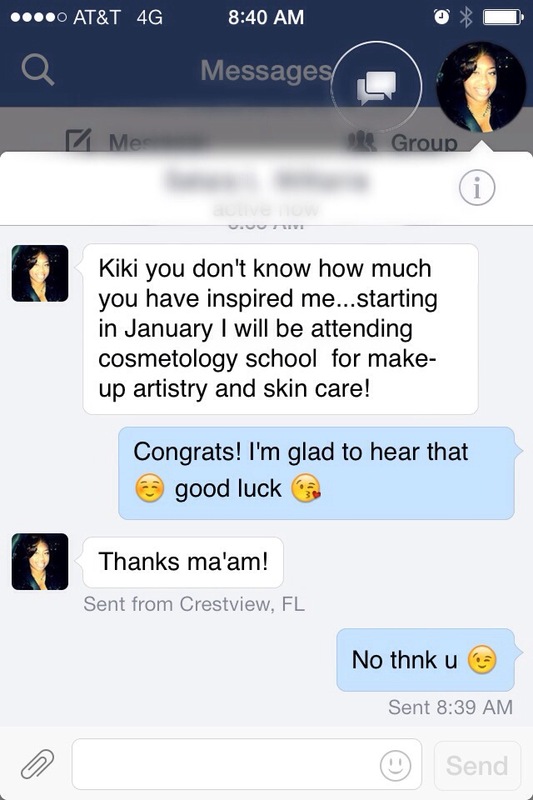 I mean its blowing my mind that I literally change lives! People tell me they are my fan lol smh .. u dont have to be on tv or in the lime light to be an influence .. we all influence those around us .. I’m just blessed that I am affecting people for the better… changing the way someone is living! thats DEEP!! They change the current career path they are on when they see me doing what I do .. wow .. God is AMAZING!!! WHOA!!! HE MADE ME GREAT!! HE MADE US GREAT!!! LIVE UR TRUE SELF PEOPLE! We all gotta do what we gotta do but even if its for pleasure do what u love! wow .. HUMBLED!!!!!!! ON THE VERGE OF TEARS!!!! GOD IS SO AMAZING!